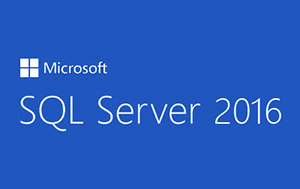 the knowledge for other courses in the SQL Server curriculum. Days 4 & 5 teach the remaining skills required to take exam 70-761. Database Administrators, Database Developers and BI professionals. I can upload files to cloud.mail.ru, if you want. Can you please tell me how to use them because I have not use the Microsoft VHD before. Open 20761B-ENU-SetupGuide.pdf file and follow section 1, 2, 3, 6, 7,8. 1. On the host machine, click Start, point to Administrative Tools, and click Hyper-V.
2. In the Hyper-V Manager console, click Virtual Network Manager. 3. In the center pane, click Private, and click Add. 4. In the Name field, type Private Network, click OK.
Edited by romank44, 23 April 2017 - 05:34 PM. Can you please post only the pdf files (Trainer or Student handbook etc.) and any other exercise files.